The service object can be created when the consuming bundle asks for it. The ServiceFactory can return service objects which are different for each requesting bundle. In the normal scenario a service object is created and used by whichever bundle wants it. Now for each bundle which requests the service, the method ServiceFactory.getService is called and allows to return a new instance. The ServiceFactory can customize service objects before making them available. For instane the ServiceFactory instance can inspect the Bundle which requests the service object (like looking at certain entries in the MANIFEST). Depending on that inspection it can return different types of service objects or service objects with different configurations. 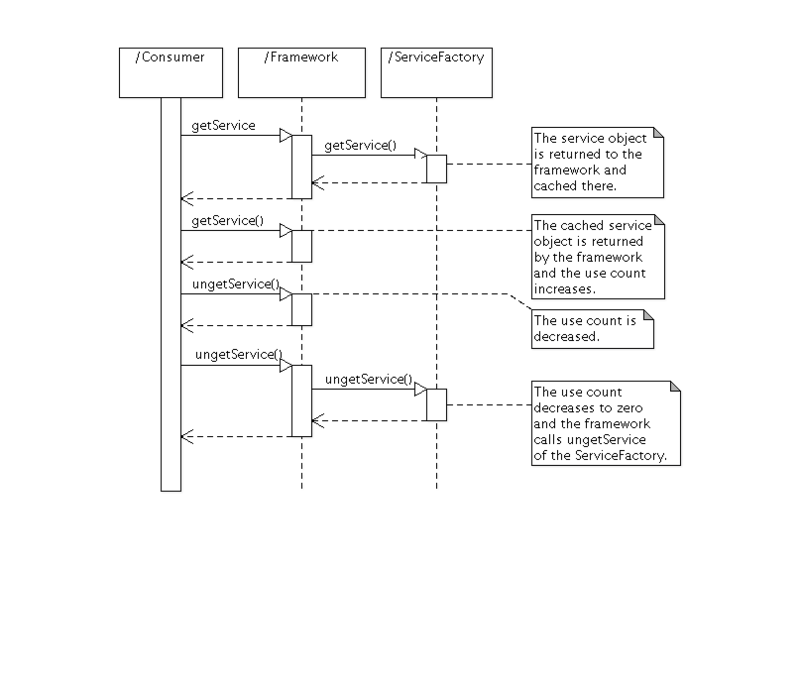 Service objects are cached by the framework. However, for a second bundle, the service objects of the first bundle are not reused by the framework. If two bundles retrieve a service and thus use the ServiceFactory, its getService method gets called for each of the bundles. The project osgisnippets contains a set of bundles with the name starting with set3. set3fac provides services using the ServiceFactory. set3cons1 and set3cons2 are two almost identical bundles, which consume the service. They create a window with a get and an unget button. 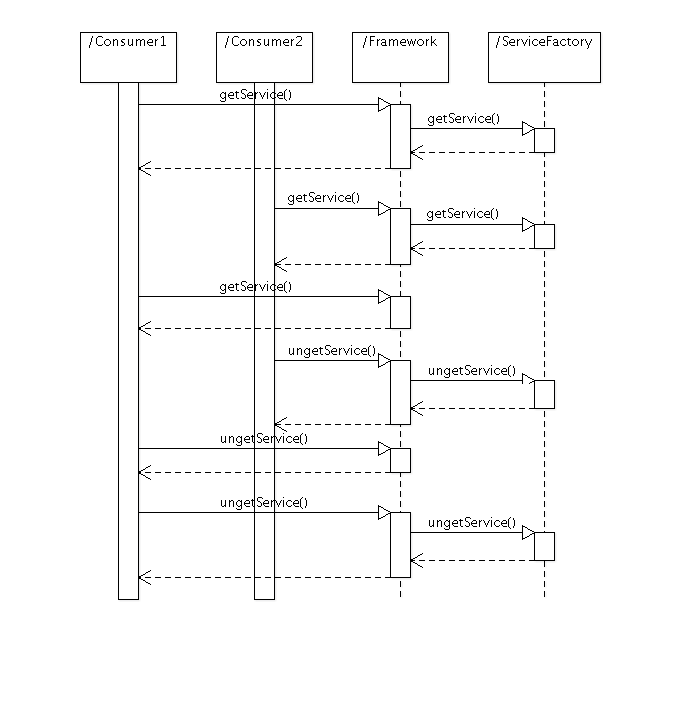 The ServiceFactory provides a unique ID for each service object. The ID of the service object is shown by the consuming bundles in their window.